Sweat… the love hate relationship most people have in life – Do we want to sweat? Do we not want to sweat? Do we enjoy the pain? Do we not enjoy the pain? The relationship that as trainers we try to help you get positive connotations with the fact that is it not just good for you body but also your mind too! Every time I take on a new client or teach a class, clients cannot believe how good they feel after, mind, body and spirit! woohooo! Yes, you may look at me and my energy and sigh because yes I have had it lucky, exercise is an engrained part of my life, it always has been and always will be since I was a little tot, setting myself time goals when I was 6 to how quick I could run to the end of the street and back like a loser! The hardest part of it all is forcing yourself to get out and do it… and that’s just it so many of us just don’t do it! For some of us exercising comes naturally and it takes a little more time. For me that’s things such as retaining information – such as at school I had to study for weeks and months to try and retain information it just wasn’t natural for me! I only ever wanted to be doing sport. It’s the same sort of thing if you aren’t natural to fitness but you can train yourself to understand and love it because SWEATING is so good for you! Scientifically has been proven to reduce your stress and anxiety! There is so many ways you can get into a community and environment too. I get quite a few of you messaging me regarding training, classes and anything fitness related. I am going to breakdown my top 5 training sessions in London for you on here that will enable you to break down your barriers to fitness! There are so many awesome parks in London that you can start your fitness journey. 2 Benefits you are getting outdoors and embracing nature. You can take it completely at your own pace. My favourite places are at Battersea Park and Hampstead Heath. I have Started doing some track sessions also at Paddington Track which is all for FREE! How incredible is that. 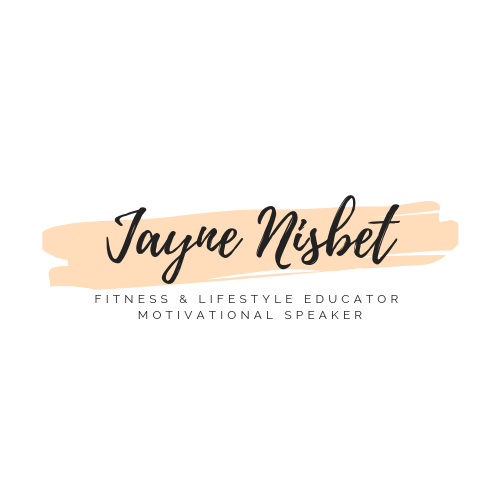 If you want more guidance on running please get in touch on jayne@jaynenisbet.com. Obviously I am biased here but I only got introduced to F45 when I took on my position. When I first went to try an F45 I wasn’t so sure but once I went and trained up and looking at exactly how it is all programmed at HQ I was so impressed at the amount of detailing goes in. What I love personally about our studio is the community environment we have managed to create. I have such an incredible team of trainers who want to make your experience the best yet!! With different workouts on different days, we target each of your training systems to ensure you have a really good full body workout everyday! Yes you have all seen on my instagram the LOVE for the Versa Climber! Why?? Because it’s something that is SO good for your cardio vascular system without the impact of running or for me the boringness of running and yes its tough!! But its so good! The music and the vibe in the classes are unreal with carefully thought out playlists which is incredible and motivating! Honestly if you haven’t tried this class you need to try it! You can buy a Trial Sweat Pack here. I would say you need to do at least 3 climbs to get into the swing of it but I promise you… once you get it you will be wanting to get back for more and the whole facility is just incredible. Get down and check it out and you might even find yourself signing up for the Vertical Mile Challenge! I was introduced to Barrys by a dear friend of mine when I was going through a bit of a tough time in my life. When I started at Barrys I was like WOW this is literally incredible! It was THE ultimate stress buster for me mostly because I just love the treadmill, but the workouts were literally pushing me to my absolute maximum and my favourite instructor Connor knew when I was slacking so he wouldn’t let me slow down! Everyone around me was so fit aswell which was amazing. The good thing about Barrys is the different levels that are on offer to you, beginner, intermediate and advanced for both the treadmill and the weights. If you are feeling intimidated don’t be worried there are different levels for you to start on. The instructors are all amazing: Connor, Jason, Izy, Jay C just to name a few – I think If you haven’t tried one I would recommend going down to see what all the buzz is about. What I love about Kobox is the opportunity to go HARD on the bags but also get a full body workout too. If you haven’t tried boxing before then this is a great place to start. It is non intimidating, the instructors and staff are super friendly and it’s a great combination of on the bag and off the bag. The classes are intense, but again are adaptable to all levels so please don’t let this put you off. They have an intro pack aswell on their website so even just try a couple of classes out. Next Next post: Who has it all figured out anyway?